Brand new sports themed harnesses and attire for 2019! Anyone for Tennis? 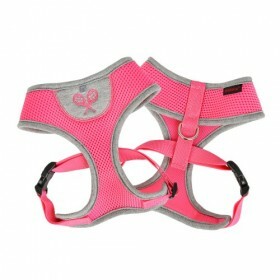 This adorable harness is complete is super lightweight made from a comfortable yet breathable spongey mesh with a soft trim. The colour palette contrast between the pink shell and grey trim is utterly sublime creating a super cute canine active wear range.